The 2018 edition of the Clermond-Ferrand Livestock Summit was a great opportunity to meet people from the other side of the globe. From sub-Saharan Africa, Burkina Faso, Ivory Coast, Cameroon and Senegal were represented. During the summit, Ceva Africa and French partner companies (IMV, Coopex and Reprotech) signed a letter of agreement with the National Center for Artificial Insemination of Mali. The objective is to implement a genetic improvement program based on artificial insemination. The program seeks to increase milk and beef production in Mali and thus to better feed the Malian population. Ceva will contribute to this program by providing expertise on bovine reproduction, including optimal hormonal protocol selection for heat induction and synchronization. 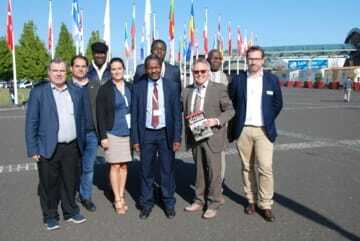 Ceva also accompanied the Ugandan delegates. Genetic improvement was once again the topic of choice since the Ugandan government recently launched a national breeding program in partnership with Ceva. The State Minister for Animal Industry, Hon. Joy Kabatsi, recognised Ceva as a longterm, faithful and trusted partner. Ceva is also involved in a national program against resistant ticks through use of its external parasiticide, VECTOCLOR®. 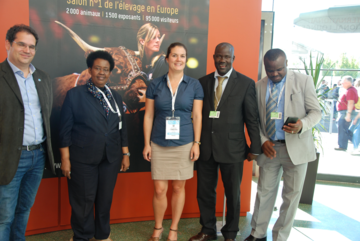 Through its numerous public and private partnerships, Ceva endeavours to disseminate its expertise in cattle breeding in the African continent for the benefit of farmers and local populations. Ceva fervently adheres to its doctrine: "Together, beyond animal health".